Ever tried to know that who hosts the site ? Studies reveal that people make hosting choice decision influenced by top websites in their niche. Usually, the thought process before selecting a powerful web-host is like this – “If the hosting provider of top blog in my niche can handle such huge traffic and perform this much up-time, then most probably I must go for that hosting”. But how will you come to discover that which hosting provider is hosting that site ? Knowing who hosts the site or getting information about web hosting provider of any website is quite tricky as the truth about various private data extractor tools about any website is that they entirely depend upon WHOIS database for such information. So when you’ll look for the hosting information, you’ll end up getting domain registration information like servers where the domain was registered or was hosted earlier. So there comes the need to find out who hosts this site ? How to Discover Who Hosts The Site ? So if you are looking to find out who hosts this site or which is the hosting provider of this website, then here is a quick way to know this. All you have to do is just visit, WhoIsHostingThis.com and enter the desired URL of site whose hosting provider you want to know. After entering the URL, search for it and you’ll soon come to know that where that site is being hosted. As you may see here, the WhoIsHostingThis free tool has provided all the basic details about the site Techcrunch.com like the site is being hosted on WordPress servers and the Automattic is the one who hosts the site. However, if you wish to know the various details of domain information also then you may click on Click Here button near WHOIS. This will show you where the domain was registered, what is the registrar server, when it was registered, when it is going to expire, when the last time name servers where updated etc. various important details. Similarly, you may be able to look for other websites also and this way you may easily discover who hosts any website. 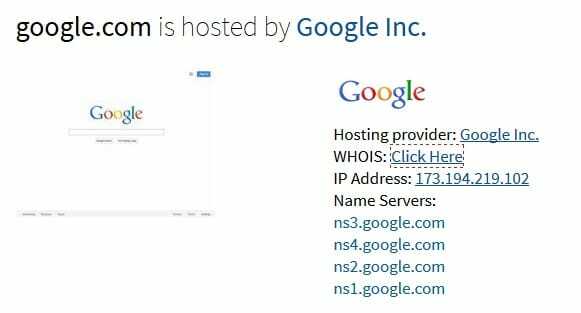 Note : Few websites, use their own custom domain name servers or hosts their website on their private hosting like the Google.com does. So don’t blame the tool if you’ll not be able to view any popular web hosting provider behind the website. Also it is worth noting that some smart website owners or the one who think their privacy is much more important, usually hide their IP or name servers or even web-hosts sometimes by adding extra layer of privacy. This helps them keep information private for enhanced security. 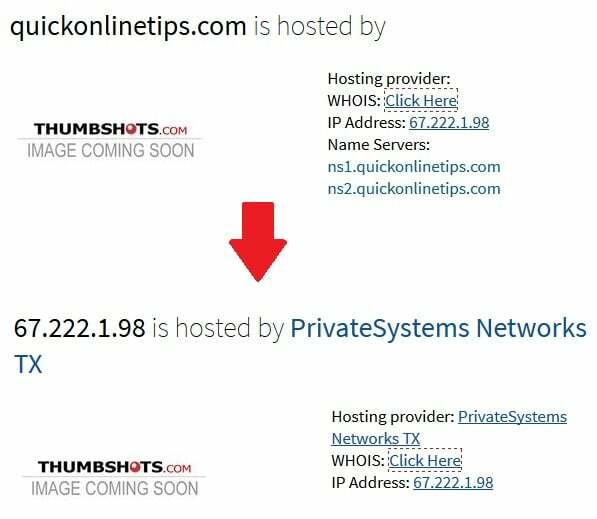 For example, look how Quickonlinetips.com has hidden their name servers smartly. But if you got struck in looking hosting information of such websites, below is a trick to be smarter than them and find out who hosts the site. There is another tool, Reverse IP Lookup, the tool enables you to find which are other domains being hosted on the same server. Usually, in shared hosting packages, more than one domain are hosted on the same server by Web-Hosting provider. 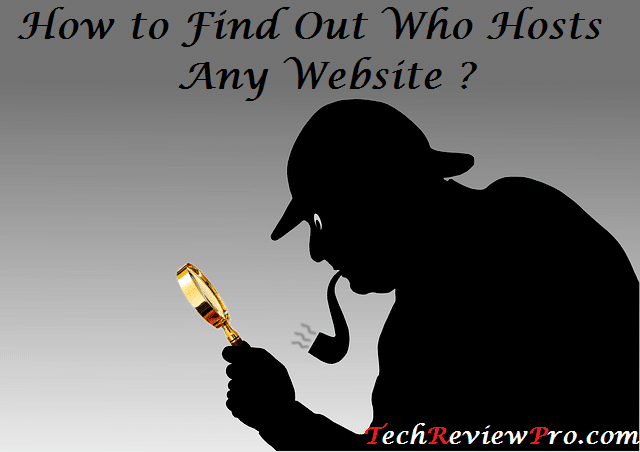 Hope these tools will help you in determining who hosts any website. However don’t forget to share any such tools (if you know) in comment box below. How to Automatically Save Complete WordPress Database Backup in Dropbox ? How to Create A Very Strong Password Which is Easily Memorable but Hardly Guessable ? How to Change Facebook Homepage Login Screen Using FB Login Screen Changer ? More How-to. . . .